The under-fire Fianna Fáil leader says TDs opposing him have their options – but that he won’t be stepping down. 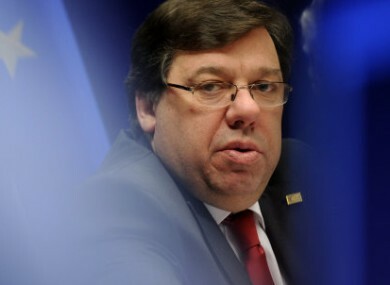 TAOISEACH BRIAN COWEN is to meet with Fianna Fáil TDs and Senators in the coming days to discuss their opinions of his leadership of the party. Speaking at this afternoons’ meeting of the Fianna Fáil parliamentary party, Cowen said he would resist any motion of no confidence against him, and would meet certain members of the party individually in the coming days to assess his position. Widespread reports from within the Fianna Fáil parliamentary party meeting, which ended at around 4:45pm, suggested that Cowen was opposing any motion against him, and that he has refused to step down in the face of apparent opposition to his leadership. Cowen is understood to have told the meeting that if individual members wished to replace him had procedures they could pursue. It had earlier been suggested that the postponement of the parliamentary party meeting – from 12pm until 3pm – was an indication that a full-blown leadership heave is underway. A Fianna Fáil party spokesperson told TheJournal.ie that the party meeting was a weekly event which is often rescheduled, and that there was “no significance” in today’s time change. FF TD Mary O’Rourke said this morning that it was too late to change leadership this close to an election, but Cowen’s party colleagues are reportedly angry about further revelations regarding his contact with Sean Fitzpatrick. However, RTÉ’s David Davin-Power said on News at One the postponement excuse was “threadbare” as today is not a busy one in the Dáil. The Dáil business scheduled for this afternoon, however, had meant that no Fianna Fáil TDs were required to remain in the house for this afternoon’s business, with Eamon Ryan and later Mary Harney scheduled to deal with legislation and answer questions relating to their own briefs. Newstalk’s political correspondent Páraic Gallagher said on Lunchtime that he understands some senior ministers have asked Cowen to step down, but that Cowen was likely to stay on to oversee the introduction of the Finance Bill, and call an election earlier than expected. Email “Cowen to meet TDs, Senators over party leadership”. Feedback on “Cowen to meet TDs, Senators over party leadership”.